Spatial, a leading provider of cabin crew training simulators, has announced that it was commissioned by Pegasus Airlines to build an A321NX Over Wing Exit Trainer. Manufactured to replicate all the functionality of a real A321NX semi-automatic door, the high-fidelity simulator will enable Pegasus Airlines’ cabin crew to become fully proficient in all normal, abnormal and emergency situations that may be encountered with this Airbus aircraft door type, said a statement from the company. 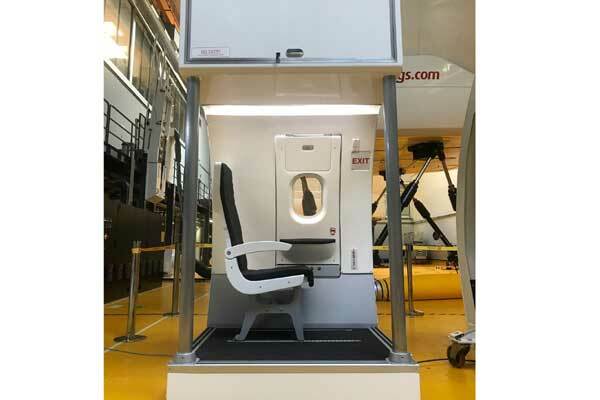 Custom-built to the highest standards within just six weeks at Spatial’s facility in Dubai, UAE, the trainer was shipped and installed at Pegasus Airlines’ crew training centre in Istanbul this month, it said.